I enjoyed the narrator even though her accent for things were much different than the ones before. This books was great!... until I read the ending. I wish we were given more about Kelsea and what her future held. Some sort of “closure”. The ending almost seemed like a cliff hanger. 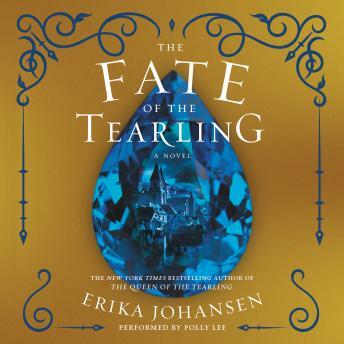 I'll start with the narrator- I liked her voice and think she is a great person to listen to, however I think she was the wrong choice for this particular book This book has possible the worst ending to a series I have ever read. This narrator was horrible. She has this slow, soporific drawl that makes every character sound as though he/she has a low IQ. And her voices are truly terrible. I will double check every other audiobook I want to read before I purchase it to ensure this woman is not the narrator. The story isn't so hot either. I read this last installment because I was already invested, but all of the books are so disjointed and hard to follow. At one point my daughter asked what the story was about and I honestly couldn't tell her. Save your time and money and listen to something else. Nothing takes the wind out of your audiobook sails like having a new narrator. Names and places pronounced differently, voices are nothing similar. The difference makes listening hard to follow.